Our Annual Meeting took place at the State of Maine Cheese Co. in Rockport where we re-elected Anne Bossi, Deb Hahn, Beth Whitman, and Mary Belding to the board. We also set our meeting schedule for 2011 (see the updated list on the Guild page). In non-official business we discussed Open Creamery Day successes (publicity was good this year; over 500 people visited Pineland Farms in Gray this year! 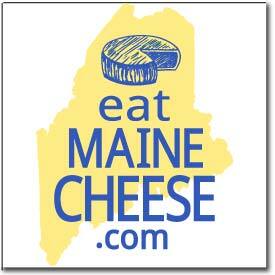 ), various fund raising ideas, the response to our Letter to the Governor from the Commissioner of Agriculture, future workshops, an expanded presence at the 2011 Common Ground Country Fair, and the fact that the 2011 American Cheese Society conference will take place in Montreal next year, the closest it’s been to Maine since Burlington, VT in 2007. 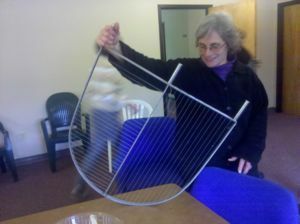 Best of all we got to see the cheese harp that Cathe’s husband Frank made for Appleton Creamery.